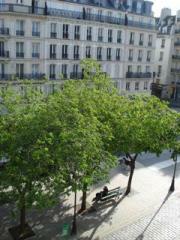 This architect/designer renovated 54m2 apartment in a 1790 building is located in the heart of Le Marais. 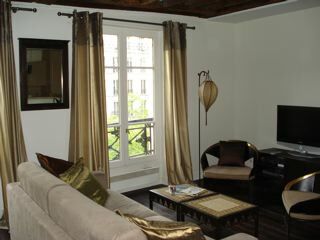 It has a high style granite kitchen open to the living room with wooden beamed ceiling and a stunning view of the historical and lively rue St Antoine throught two windows. 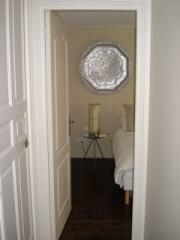 One bedroom on the quiet courtyard with lots of closet space. Stone bathroom with tub/shower. Contemporary and comfortable furnishing. A minimum of 5 nights is requested. 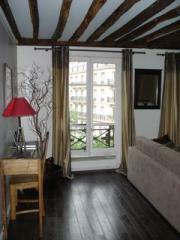 This apartment is located steps from the Metro St Paul in the heart of Le Marais. 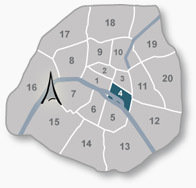 Within 5 min walk of Ile St.Louis, the Picasso Museum, the Carnavalet Museum, Places des Vosges, Place de la Bastille and rue de Rivoli. In the close neigbourghood, there are traditional bakeries, cheese shops, wine stores, gorgeous flower shops and the legendary stationary shops of rue du Pt.Louis-Philippe. 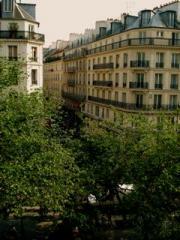 The European Photography Museum, the Shoah Museum and the well-known rue des Rosiers are also close to the apartment. Buslines 96, 69, 76 and since September 2007, 26 city-sponsored bikes at your disposal - right in front of the apartment. Enjoy the churches of St-Gervais-St Protais and St Paul as well as the Antique Shops of the Village St-Paul. Many restaurants, caf�s and bars in the neighbourhood. Livingroom with sofa bed, two coffee tables and two armchairs. Cable TV, DVD player and Ipod dock speaker. A desk with internet connection and telephone. Wooden floor and a beautiful wooden-beam ceiling. The livingroom is open to the kitchen with a bar and 4 high chairs. High style granite kitchen with dish-washer, waching machine & dryer, vitro ceramic, refrigerator, freezor and all kitchen utensils. Open to the livingroom with a bar. Bedroom with double bed (or two single beds), lots of closets and two windowsfacing the quiet courtyard. wooden floor. Stone bathroom with bathtub & showerhead, one washbasin, wall closet and WC. 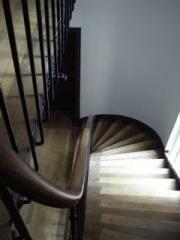 18th century building, apartment on the 3rd floor. 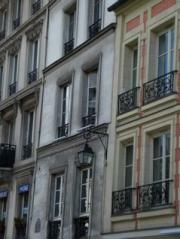 Rue St. Antoine in the heart of Le Marais. Next to the church of St Paul, metro & buses a few steps away and city-sponsored bikes right in front of the apartment.